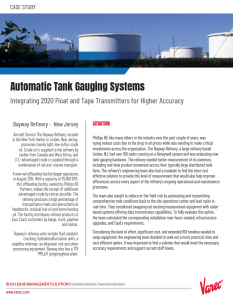 The 2520 Automatic Tank Gauge (ATG) is a float & tape instrument designed to provide continuous liquid level measurement in high pressure bulk storage applications. 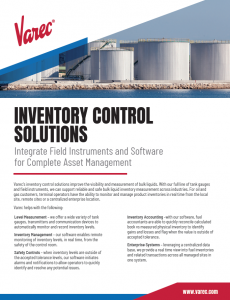 The 2520 ATG meets API Chapter 3.1B regulations for inventory control applications with a measurement accuracy of 0.2” (4 mm). It’s also built in the USA to 3rd-party quality assurance standards, and is ATEX approved* for use in potentially explosive atmospheres. Just like its companion, the 2500 ATG, the measured level is displayed using a dial and counter built into the gaugehead. Varec pioneered the technology over 80 years ago and it has proven itself ever since, probably due to it’s simplicity and reliability – just ask anyone in the industry. 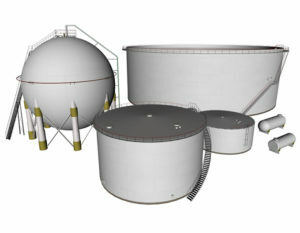 Select the installation kit suitable for your bulk liquid storage tank. 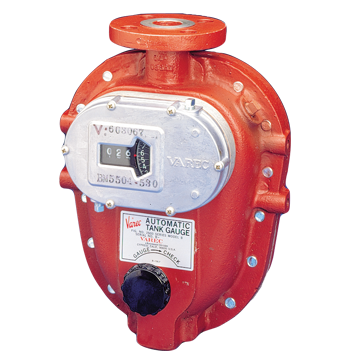 Varec also recommends the use of a Rubber Plug Gate Valve that permits the user to seal off the tank working pressure from the gaugehead and tape piping system for routine inspection and maintenance. 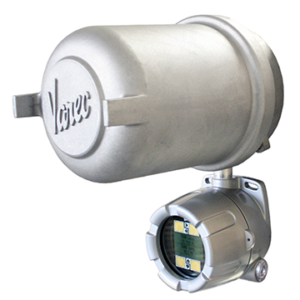 If electronic transmission of level data or temperature measurement integration is required in the control room, then the gauge can be fitted with an optional adapter and tank gauging transmitter. Varec’s new 2920 FTT offers tank side viewing and configuration using a touch screen display. 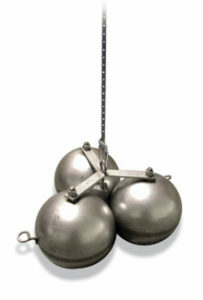 The 2520 ATG is provided with a standard 8″ (203 mm) diameter multi‐sphere 316 stainless steel float. In order to ensure the highest possible measurement accuracy, the specific gravity of the product being measured is required to properly adjust the weight of the float. The 2520 ATG, its accessories, and it’s spare parts are available to ship today. Every part is supplied with detailed user instructions. If you need direct support, we offer standard training and service programs that we tailor to your staff, and your facility. Rated to 150, 220 or 300 PSI (10.3, 15 and 20.6 Bar) gage pressures. 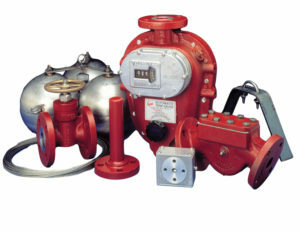 150 and 220 PSI (15 Bar) Gauge versions conform to ATEX, Class I, Zone 2 (Ex II 2G T5). 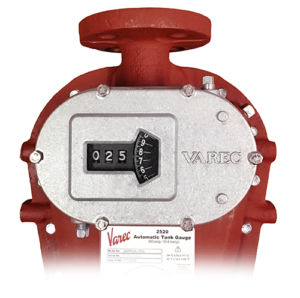 Technical specifications for the high-pressure 2520 Automatic Tank Gauges. 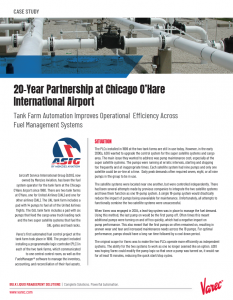 Technical specifications for the low-pressure 2500 Automatic Tank Gauges.